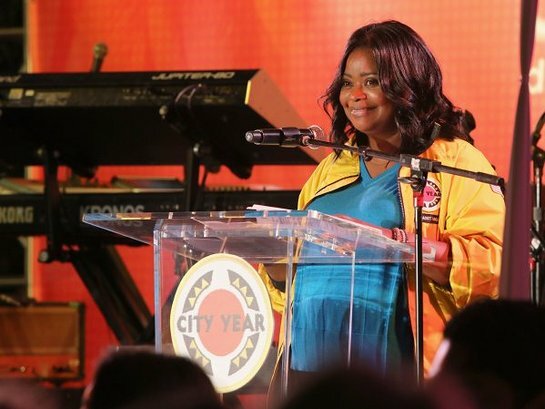 City Year Los Angeles’ held its 8th annual Spring Break: Destination Education on April 28. 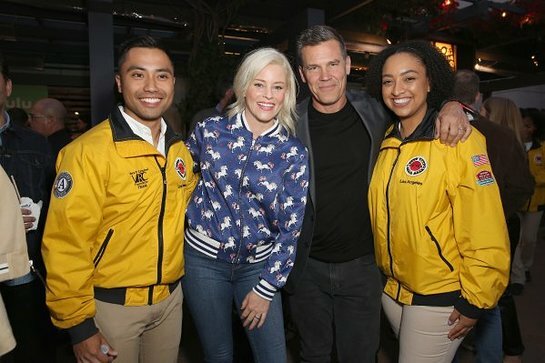 The event was City Year’s largest fundraising event as well as a fun party where A-list celebrities and industry insiders, along with their teens and tweens, came out in support of education in Los Angeles. 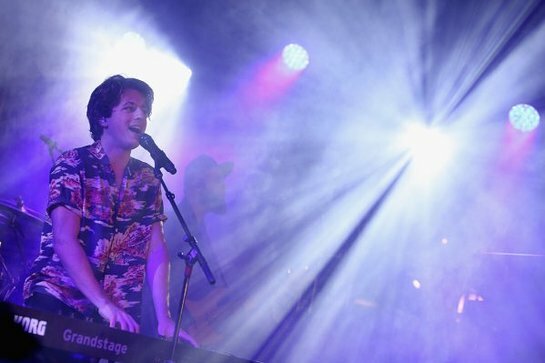 The event featured a special performance by Charlie Puth, as well as food, games and interactive booths sponsored by top brands including Aramark, Comcast NBCUniversal, E!, Hulu, JP Morgan Chase/Atom Tickets, Karma Tequila, MarVista, PEOPLE, RealD, Sony, Twentieth Century Fox, Univision, Walmart, and Westfield among others. The event was attended by 1,400 guests and raised $2.2 million. Among those who attended the event were Host Academy-Award winning actor Octavia Spencer, City Year AmeriCorps members and supporters including Aubrey Anderson-Emmons, Lauren Ash, Essence Atkins, Elizabeth Banks, Thomas Barbusca, Violett Beane, Garcelle Beauvais, Zazie Beetz, Troian Bellisario, Katrina Bowden, Josh Brolin, Yvette Nicole Brown, Logan Browning, Ty Burrell, D’Arcy Carden, Erika Christensen, Terry Crews, Darren Criss, Zoey Deutch, Ethan Dolan, Grayson Dolan, Tommy Dorfman, Riele Downs, Devin Druid, Andy Favreau, Fortune Feimster, Parisa Fitz-Henley, Georgie Flores, Sean Ryan Fox, Melissa Fumero, Skyler Gisondo, Jennifer Garner, Mollee Gray, Seth Green, Robert Greenblatt, Max Greenfield, Regina Hall, Mackenzie Hancsicsak, William Jackson Harper, Miles Heizer, Julianne Hough, Glenn Howerton, Jon Huertas, Manny Jacinto, Jameela Jamil, Carter Jenkins, Noah Jupe, Jeffrey Katzenberg, Echo Kellum, Anna Kendrick, Joey King, Justin Kirk, T.R. Knight, Katherine Langford, Brandon Larracuente, Bethany Joy Lenz, Jason Lewis, Jorge Lindeborg Jr., Rami Malek, Camryn Mannheim, August Maturo, Chris Mazdzer, Alphonso McAuley, Steven R. McQueen, Jeff Meacham, Peter Mensah, Thomas Middleditch, Beau Mirchoff, Sibongile Mlambo, Jenna Ortega, Rena Owen, Adrianne Palicki, Adam Pally, Randall Park, Graham Phillips, Justin Prentice, Sally Pressman, Emilie de Ravin, Jillian Rose Reed, Storm Reid, Tony Revolori, Marque Richardson, Ashley Rickards, Britt Robertson, Holland Roden, Halston Sage, Nico Santos, Tiya Sircar, Stacey Snider & Gary Jones, Abigail Spencer, Martin Starr, Amandla Stenberg, JJ Totah, Jonathan Tucker, Michael Walsh, Ian Verdun, Zendaya, special performer Charlie Puth, and more. City Year is a national education-based nonprofit organization fueled by AmeriCorps that helps high-need schools keep students in school and on track to graduate high school, college and career ready. Proceeds enable City Year to work with thousands of students who are at risk of dropping out and provide them with extra care and support they need to reach their full potential.